The 2018 season has started in exhilarating style with victories for Scuderia Ferrari’s Sebastian Vettel at both the Australian and Bahrain Grand Prix™, and then for Red Bull Racing’s Daniel Ricciardo in China. Lewis Hamilton then won a thrilling and dramatic race at the Baku City Circuit in Azerbaijan, and most recently Hamilton was again victorious in last weekend’s Spanish Grand Prix. The 2018 season also sees the return of the French Grand Prix for the first time since 2008, at the Circuit Paul Ricard, which last hosted the French Grand Prix in 1990. 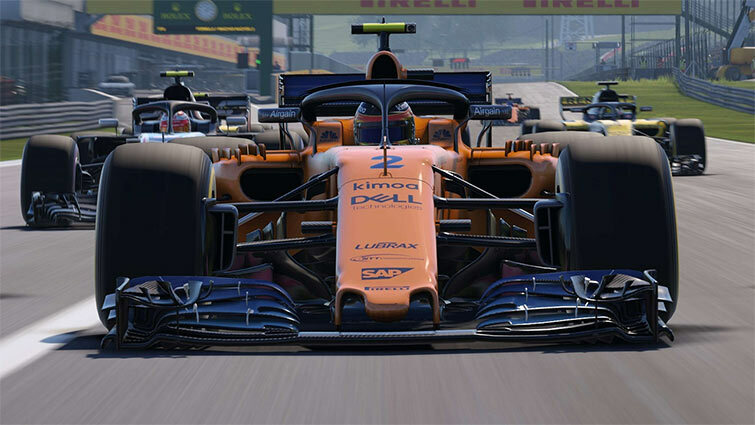 The improvements to F1 2018 since the already-impressive F1 2017 are largely incremental and often very subtle – and there are still a few areas where it’s openly coasting on previous efforts – but F1 2018 features the finest handling and force feedback for a dedicated F1 game to date, some welcome visual improvements, and a career mode that does a better job than ever at capturing the nuances of the world’s most-popular motorsport. F1 2018 is brilliant, and the most complete Formula One game to date. The changes to career mode make it the strongest and most appealing it’s ever been thanks to the revamped upgrade system, while the simulation-like additions to the driving model bring you closer than ever to the feeling of sitting on the grid with 1000+ horsepower at your feet, without overwhelming those who just want to jump in and drive. An incredible amount of options for control and customization; incredibly accessible to newcomers and veterans alike; huge amount of content should keep you engaged with the game; great driving at its core; a love letter to F1, and all of its fans. F1 2018 is well tuned, chock full of content and options, and equally satisfying for newcomers and veterans alike. F1 2018 brings the complete Formula One experience to your cockpit. Featuring the new rule changes, a new handling model and a deeper Career Mode, racers are in for a different experience over F1 2017. 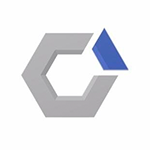 The biggest gripe is with the A.I., which would most likely see some improvements as there is a patch due at launch. Cars shine beautifully and player models are the most realistic the series has seen. Having the F1 television graphics help complete the overall Formula One experience. 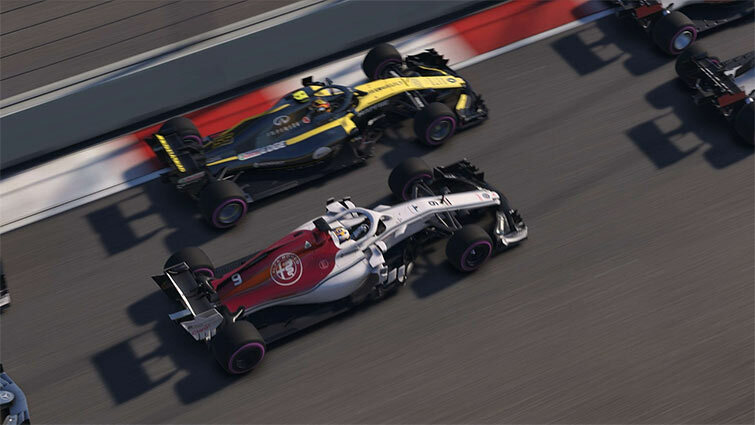 Codemasters has established its own branch of racing simulation with F1 2018. With challenging racing and a diverse car management system, F1 2018 is filled with endless opportunity. Although undeniably similar to last season’s effort, small changes have improved the overall experience enough to merit a revisit. And, ultimately, F1 2018 takes the chequered flag as the best F1 instalment to date. Overall, F1 2018 is the first racing sim I have played in a long time because I could never get the handle of racing against other cars without smashing into them. This game has taught me a little more about patience in this type of sim game and has allowed me to open my mind to the possibilities of new gaming opportunities. Racing games are all about strapping yourself in behind the wheel and chasing that checkered flag, but you can’t forget all the hard work put in just to get you to the start/finish line in the first place. F1 2018’s excellent career mode skillfully lets you enjoy the fruits of both labors. F1 2018 takes the existing blueprint and adds many small elements to create one reasonably sized step forward. There are enough differences here to warrant a purchase over last year’s edition. F1 2018 is easily the best Formula 1 game yet, but next time, small changes may not be enough. F1 2018 meets the needs of both those who screamed for more realism and those who only wanted to see more regular content. There's plenty of depth here, heaps of different game modes, lots of challenge, and enough strategy and tactics within the racing itself to entertain for months. Given the popularity of Codemasters' own F1 esports league, this will of course be a nice touch for those competitive types, but even if you only have a passing interest in F1, this is worth a try. F1 2018, unsurprisingly, is better than last year's outing. There are no drastic overhauls to speak of, but thanks to another array of tweaks and minor additions, it's the best F1 title to date. 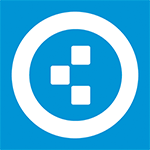 Its biggest strength is in the single-player domain. The career mode features a lot of unique elements, like the R&D skill-tree, which can't be found elsewhere, and it successfully approximates what it's like being a championship-pursuing Formula 1 driver. It is remarkable how far Codemasters have come with the F1 series and F1 2018 has proven that a move towards simulation can be done without alienating casual players. Finally a spectacular Formula 1 experience for simulation fans. In the end, I found very little to be mad at when it comes to F1 2018, but that’s mostly because it is very much like last F1 game I reviewed. I am happy to report that issues like the NPC characters models feeling out of place in this game, the reporter and her timed questions, and the small number of canned animations that repeat before each career race do not stop you from having fun. Si eres apasionado de la Fórmula 1 y en general del automovilismo competitivo, entonces sobra decir que F1 2018 es completamente para ti, esto sin importar qué tanta experiencia tengas con juegos de carreras. En caso de que lo tuyo sea una experiencia de racing un poco más casual, menos complicada y al grano, pues sobra decir que en este espacio muy difícilmente encontrarás algo de tu interés. Por último, debemos insistir en la completa actualización a la presente temporada de pilotos, monoplazas y circuitos, así como la incorporación de nuevos vehículos clásicos. Sin duda, F1 2018 es todo lo que esperábamos y se convierte por méritos propios en uno de los mejores títulos de la saga. 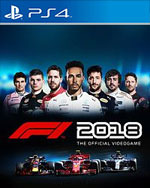 F1 2018 ofrece sutiles mejoras que lo convierten en mejor juego que el año pasado. Los añadidos perfeccionan una propuesta notable que goza del equilibrio para agradar a los más puristas del deporte y a aquellos que solo quieran disfrutar de unas carreras de F1 sin dificultades. La estrella de la función es el profundo modo Carrera, que tiene activos más que suficientes para dilatarse en el tiempo y dejarnos jugar varias temporadas dándonos motivos para ello. Además, presenta una oferta enorme de modos adicionales con coches clásicos y campeonatos modificados para una de las iteraciones más repletas de contenido jamás vistas. 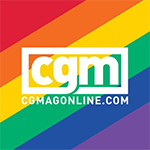 Ahora encontraremos salas clasificatorias donde medirnos el todo por el todo según el nivel de habilidad de los jugadores y su nivel de limpieza, dos requisitos imprescindibles para todo competitivo que se precie, apartando por fin a aquellos antideportivos de quienes de verdad juegan con la máxima limpieza posible. En líneas generales, F1 2018 es una entrega sólida que sigue el camino trazado en la temporada pasada, sin caer en errores y mejorando de esta forma la propuesta en todos los sentidos. Sans surprise, F1 2018 est un petit bijou. Il ne révolutionne pas la série mais apporte son petit lot d’améliorations, même à des endroits où l’on pensait qu’il avait déjà atteint son maximum. Si l’on peut estimer, à juste titre, que les petites nouveautés du mode Carrière manquent de profondeur, l’ensemble reste très plaisant à jouer. C’est surtout la richesse technique de ce F1 2018 qui surprend, même lorsque l’on est habitué : on pourrait passer des journées complètes en phase d’essai, à faire ses tests, à reconfigurer sa voiture. Une véritable drogue. 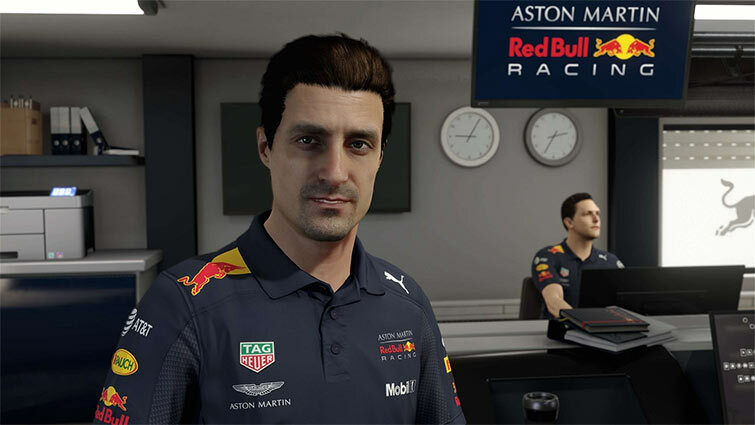 Grâce à une Carrière vraiment bien pensée et un multijoueur sage mais efficace, F1 2018 a tous les arguments pour vous absorber des heures et des heures, au point de vous faire oublier que trois semaines se sont écoulées et que vous n'avez toujours pas écrit de test. Faute avouée à moitié pardonnée ? Avec sa conduite alliant à la fois sensations et stratégie de course, F1 2018 apporte une profondeur peu commune dans les jeux de voitures. Fans de formule un, foncez. Pour les autres, vous en apprendrez beaucoup sur la discipline si vous vous décidez à vous installer dans le baquet. Seule le mode online encore insuffisant empêche F1 2018 de frôler la perfection. On vous avoue que comme chaque année, on aurait adoré pouvoir essayer les anciennes monoplaces sur des circuits d’époque. 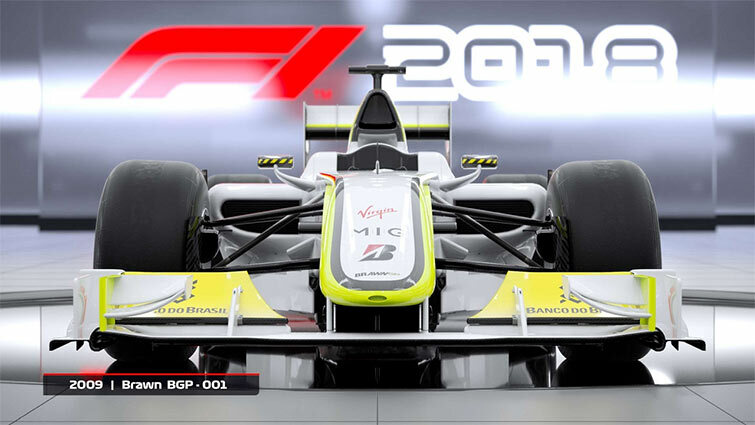 Espérons que Codemasters ait prévu pour son F1 2019 d’ajouter quelques pistes mythiques comme le Nurburgring, Adélaïde, Jacarepagua, Imola, Jerez ou encore Estoril. F1 2018 continua sulla buona strada segnata dai suoi predecessori. Le novità non sono fondamentali, ma tangibili nel quadro generale del gioco: non possiamo che apprezzarle, al netto di qualche evidente problema. Il gameplay, per esempio, rimane quello tipico della serie, che sa tendere una mano ai neofiti, ma offre anche una simulazione adeguata a tutti quelli che cercano una sfida più complessa. 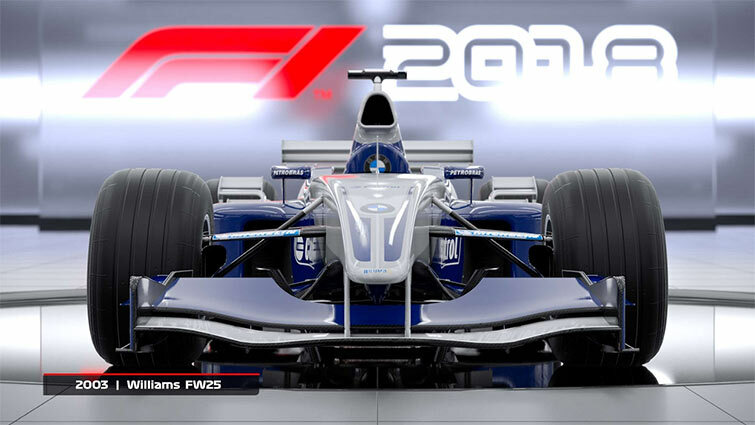 F1 2018 è l’ennesima buona prova di Codemasters, il gioco ufficiale della Formula 1 che tutti gli appassionati della disciplina devono avere. Ha un feeling di guida soddisfacente e un livello di simulazione/difficoltà altamente scalabile, in modo da poter essere assaporato proprio da tutti, proprio come dovrebbe sempre essere per un titolo del genere. I dettagli aggiuntivi introdotti nella modalità Carriera promettono di mantenere il giocatore ancora più incollato al sedile, mentre le modifiche al gameplay danno ulteriore spessore a un sistema di guida ormai in grado di accontentare sia chi cerca un'esperienza immediata, sia chi vuole invece puntare sulla simulazione. Verwacht geen arcade-game, want dat is het allerminst. De instapdrempel is wederom hoog, want het komt aan op precisie en geduld. De F1 draait om het perfectioneren van elke ronde, maar als dat je ding is en als je van serieuze racegames houdt die tot het simulatiegenre behoren mag je deze titel eigenlijk niet laten liggen. Met de 2018-editie van de officiële Formule 1-game heeft Codemasters zich opnieuw overtroffen. Er wordt steeds meer toegevoegd, naast de gebruikelijk seasonal refresh van de teams en kalender. De nieuwe verplichte halo blokkeert het zicht, maar er is ruimte om omheen te werken als je dit realisme niet wil. Porém, seguindo a tendência que a F1 revelou nos últimos anos, parece que a Codemasters se começa a encostar um pouco ao sucesso, oferecendo novidades mal implementadas, como o foco na comunicação com a imprensa, que mais serve para nos aborrecer do que para emprestar o tal sentido de maior realismo que foi prometido. "Fazer cabeçalhos" chega a ser doloroso, e esperamos que a franquia não caia no erro de retirar o foco daquilo que se passa dentro do cockpit.